For over 10 days, the power tussle between the Reddy brothers faction and the Yeddyurappa camp has virtually held the work of government hostage. 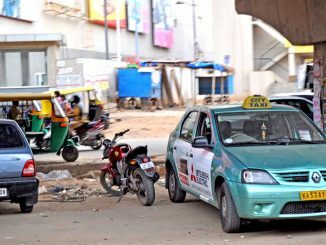 How has the internal turmoil in the BJP government impacted the prospects for “fixing” a whole host of Bengaluru problems? The Government of Karnataka, on November 13th 2009, put out a state-level Urban Development draft policy for public comment. Minister of Law and Urban development S Suresh Kumar released the draft, which has been prepared by A Ravindra, Advisor to the Chief Minister on urban affairs. It mentions the setting up of a Metropolitan Planning Committee (MPC) for Bengaluru, changes needed for mayoral elections, and setting up of an Urban Poverty Alleviation Cell, among other things. December 15th 2009 is the last date to file comments and objections. A key reform proposal – that originally came out of the Kasturirangan Committee report and then from Chief Minister’s B S Yeddyurappa’s own Agenda for Bengaluru Infrastructure Development (ABIDe) committee – for reforming Bangalore’s governance altogether has been pending recently with the state government. But without the cabinet’s approval, legislation to enact the reforms will not enter the state assembly. They will then become the most recent in the long list of previous such ‘paper’ efforts that get consigned to history. However, until the recent crisis became centre-stage, a cabinet sub-committee of Bangalore-constituency ministers let by Katta Subramanya Naidu, Minister for Excise, BWSSB, Information and BT, Science and Technology, had met twice to discuss the reform proposals. To understand what is at stake, Citizen Matters had a conversation with Dr A Ravindra, former Chief Secretary of the state government, and currently Advisor to Chief Minister on Urban Affairs. Ravindra is the architect of the proposed legislation from ABIDe on reforming Bengaluru’s governance. Now that crisis in the BJP state party has been set at rest at least temporarily, cabinet deliberations could pick up again. Here are key elements of the reform proposals and a summary of the discussions at the cabinet sub-committee. Bengaluru is begging for an elected council (long overdue and repeatedly being postponed by the state government), and equally a mayor as an elected-head of local government with whom political accountability for the city will vest. The term of the mayor and the type of election has been under discussion at the cabinet sub-committee. Should the mayor be elected directly or in-council? The ABIDe proposal is for a directly elected mayor. The view is that currently, the mayor is merely a ceremonial head and needs more powers for adequate decentralisation. Otherwise there are accountability issues at the city level. This requires changes to the Karnataka Municipalities Act. Amongst politicians, there is some fear that if a directly elected mayor belongs to one party and the state government belongs to another party it will lead to friction. Also there has not adequate decentralisation/separation of power between the state and the cities yet, even to the degree there is between centre and the state. There are worries that merely having a directly elected mayor without clear separation of power could cause confusion. This is also why both the Kasturirangan report and ABIDe’s draft legislation have proposed an interlinked set of wholesale decentralisation reforms, not merely one item like the direct election for mayor. The mayor-in-council approach may also be workable as an alternative to this. Even here an amendment is needed to allow for a full term of five years, as opposed to one year. A second reform under consideration with the Bangalore ministers is the constitution of Ward Committees (WCs), and Neighbourhood area Committees (NCs) for smaller areas (a few streets put together) inside wards. Central to this is the question of whether local committee members must be elected or nominated. ABIDe’s proposal has been very specific. It calls for the city councillor from a ward to be the chairperson of the WC, and for the members of the committee to be nominated by the corporation in consultation with the councillor. It also throws in a provision that connects WCs with NCs: NCs will have conveners who are elected (in the same BBMP council election) from among the residents, and that the WC will have no less then two-thirds of the NC members from all the NCs in the ward. For their part, at least some key politicans, cutting across party lines, do not want to use elections to choose local committee members. For instance, while former city mayor P R Ramesh (Congress) readily agrees that the Constitution requires ward committees and that it is to be constituted among the residents, he rejects elections. “We cannot keep making representatives. That will lead to a quarrel”, he says anticipating that the hustling and jostling in parties amongst cadre leaders for tickets will now deepen in localities for smaller elections as well. In fact, Ramesh argues the opposite, saying that the Constitution asks for one person to represent one ward. Other than the one elected councillor, he wants only nominated members sitting on ward committees. Yet, this is precisely the kind of system that NGOs and non-partisan citizens groups have been up against, since it allows too much discretionary power into the nomination process. Ravindra says this is one topic where more deliberation is needed in civil society itself. He says RWAs and citizens groups need to come together to discuss and debate how WCs and NCs must be constituted. “I believe not enough debate has happened”, he says flatly. More discussion will help the political parties also, says Ravindra, indicating that it will send the parties a signal with what the consensus in city society is, if there is one. Also under consideration at the cabinet sub-committee are reforms to restructure the so-called ‘parastatals’ – BDA, BWSSB, and BMRDA. These are the famous authorities that wield a lot of power over Bengaluru and yet do not report to elected city government. For the most part, they report directly to the state government. The proposal before the cabinet sub-committee is to reform the BDA-BMRDA setup by removing all planning functions from BDA and giving it exclusively to BMRDA for Bangalore Metropolitan Region (BMR). The BMR is mapped to be roughly 8000 sq.kms of which BBMP is about 800 sq.kms. BMRDA will then become the planning authority for the BMR and will also act as the secretariat for the apex political body of the BMR, called the Metropolitan Planning Committee or MPC. In other words, the BMRDA will not report to the state government. The setting up of the MPC itself is a long-demanded reform in line with the 74th Amendment. The MPC will consist of elected members from all the local councils (including BBMP) — the cities, towns and villages of greater Bengaluru. In constituting an MPC, the state government will in effect relinquish political power it currently keeps to itself (through BMRDA and BDA) on the planning process for Bengaluru. In line with this, the BDA will need restructuring so that it becomes an agency to implement projects like ring roads and flyovers, and will not do city planning itself. This is in contrast with the current approach where the Comprehensive Development Plan 2015 (CDP) for Bengaluru was actually developed by the BDA. Citizens even filed a Public Interest Litigation (PIL) at the High Court in 2007 challenging the CDP as illegal, on the grounds that it violated the Constitution. Regarding BWSSB, the proposal under consideration is to restructure it into a water supply body instead of a water supply and distribution body, and hand over distribution in city limits to BBMP. Water is a local subject and hence like other cities in Karnataka – Mysore and Dharwad for example – distribution to the end users for city limits must be with the nagara palike, that is, BBMP. Bangalore has been an exception more than the rule, points out Ravindra. Decades ago, BBMP’s predecessor, Bangalore Corporation was responsible for water distribution before BWSSB took over. For all of this to become reality, the proposals need to sent in the form of new legislation to the upcoming assembly session in December. But to go further, there needs to be an agreement within the cabinet. There is yet another conflict that is worrying several keen observers. The High Court and the State Election Commission are keen that the latter be allowed by the state goverment to conduct BBMP elections as soon as possible. If the elections are held now, it will result in a council minus reforms relating to mayoral election, mayor’s term of office and ward and neighbourhood committee constitution. However, if city elections have to wait till the cabinet sub-committee decides on the ABIDE’s proposals and let the political process go into the assembly, there is the possibility of further delay, irking the High Court to no end. The serious nature of the some of these questions only points to one thing: If the Yeddyurappa government is keen on delivering and executing on the promise of these reforms for Bengaluru, within what is left of its term, it will have to do more than get past the government’s stability concerns soon. The cabinet will need to either quickly arrive at a consensus on which reform amendments can be taken to the assembly session, or go ahead with the city elections now and take up the reforms during the rest of its tenure. Basic amenities amidst nature’s luxury, just outside Bengaluru – four twenties something are trying to create a different kind of eco-stay.